NATO and Anti-NATO: Two Sides of the Same Coin? If you want to oppose the NATO warmongers, you have to back whoever is opposing them and oppose whoever is backing them? Right?…But what does that look like in practice? And do we run the risk of allowing the globalists to marginalize entire peoples’ points of view by seeming to support them? Wrap your head around these and other puzzling conundrums on today’s (bumpy) Thought for the Day. This is a valid point and something I have pondered before. The justification for the anti-NATO position is that in a world of imperfect information and the inability to know conclusively what is happening in far flung parts of the world you make an assumption of the level of CIA spending on anti Chinese/Russian/Iranian etc movements. The more violent the movement the more likely it is to be the recipient of foreign inducements as people protesting injustice (and there are undoubtedly major injustices) are generally peaceful in the majority. When a movement is infiltrated and funded the most violent elements of the movement are keenest to expand their action and would be most preferred by those doing the infiltration. Indeed. I too have pondered James’ point many a times as I’ve consumed alternative media over the last generation. Often times, the “alt-media” gets into the same Manichean trap that the state propagandists do with their media mouth pieces – namely, if you support/don’t support one side, it must mean, ipso facto, that you support/don’t support the other side. And just because there happens to be a convergence of interests between two groups, e.g., the legitimate protests of a portion of the population in country X, with that of the State Dept., or whatever other intelligence agency/foundation you can think of, does not invalidate the critiques the said protesters may have of their own state institutions/politicians. This is the type of thinking that breeds enablers and apologists for the wrongs done by the other side, e.g., Russia and China, since everyone seems to be camping on their balls these days (pardon the graphic description). If Rockefeller can point to China as ‘the model’ I have even more reasons to question their model and State as I do the U.S. This sort of childish thinking is precisely what feeds the matrix that so many in the so-called “alt media” claim they’re running away from, but only into that warm and fuzzy bosom of BRICS. Those bifurcations are exactly what propagandists use to keep people away from the human part of whatever you’re examining. We are human beings with short lives that occupy dirt on a planet that is a speck of dust on the cosmic scale. The “battles” being fought are generally a giant spectacle so that the battles can continue to be fought without interruption. The people who instigate these battles are sick in the head (on both “sides” of any battle). In the end, our imagined self-importance (as Carl Sagan once put it) doesn’t prove anything. I just want to be human, and connect with a few people who will genuinely connect with me. We have ~ 75 trips or so around the Sun … I’m just trying to make the most of them. So, in terms of the title to the video, the “coin” and the “two sides” are both illusions that only have real consequences on our lives because they are being used maliciously for that purpose. I don’t have a full answer to this and should later. I just have to add in the comments that you will not see this phenomena more prevalent anywhere than “the state of Israel”. Their obsession with US & British Foreign policy is nauseating. We could all write about that at length of course but I just had to throw that in the top of this thread because it is hard not to immediately agree with you and ref the apartheid in the middle east. The same mindset have the voting sheeple, because when I tell them that Obama and the Clinton clan are fascist, people consider my person as right-winged. Subsequently I tell them that the Bush clan and the Trump cabal are made of the same peace of narcissistic mierda, the voting cattle are thunderstruck and it is incomprehensible to them. And the voting cattle become more upset when I also tell them, that all the politicians are under control of the same deep state masters. Awesome, Thanks! 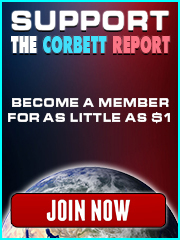 I hadn’t seen that Corbett video. maybe also out of a deep-seated fear of fundamental change…? 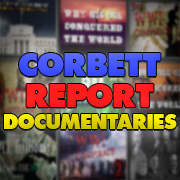 That is a great Corbett video! …positions are “left” or “right,” “blue” or “red.” … Many are now unable to conceive of what a _________ movement that is not attached to one or the other ends of this so-called “spectrum” would look like…. Well, I’m probably missing something here but, it would seem to me that binary thinking, as Mr Corbett already pointed out, assumes that people in a given camp should agree on absolutely every issue because the enemy of my enemy is my friend. So if you’re a republican (which means you’ve already subscribed to binary thinking), you’re probably Christian, nationalistic and maybe a climate skeptic, against abortions, and for more traditional family values, probably slightly racist but with a taste for individual freedoms and pro-2nd amendment. I’m certain people are taught and trained from day one to cultivate a binary view of the world precisely because its so breath-takingly easy to manipulate such a population. A population who would consider a movie like “Captain Phillips” to be educational. You only mention the truth of the media and that ultimaltely differs to the truth of the human beings. Because every story told is only a told story. That is the difference between the change of system and a system change. I think the portrayal of a narrative is fundamental to many issues (e.g. NATO vs Anti-NATO). Example: In the summer of 1980, Dallas, Texas had 69 days above 100 degrees F, 42 of which were consecutive. In those days, air conditioning was not as refined as it is today. The grass was cooked. With her job, my girlfriend met many travelers from around the globe. We both laughed at this because it was such a false, silly portrayal…Evidently on European TV News about the Texas heat, they were showing video of fire hoses spraying crowds of people on the street and embellishing how people were dying from the heat. Kind of like the concept that as a last resort to keep people alive from the heat, fire trucks would spray crowds with water. In fact, around 1980 Larry Hagman (J.R.) handed me a stack of mail asking if I would mail it for him. He was born in North Texas as was his mother, Mary Martin (“Peter Pan” 1960 movie). I currently live just a few miles down the road from “Southfork”. the portrayal of an issue is only self evidence in the sense of the current system!!! Well…there is a good and bad in everything, and NATO is no exception really. Charles de Gaulle was anti-NATO and rightly so, since he knew it was just an extension of the Anglo-American Empire (with roots in Nazism). De Gaulle did manage to pull France out of NATO’s integrated military structure in 1961, only to have it reimplemented some 40 years later by the Neocon weasel Sarkozy, just in time to bomb Libya. Truth be told, following WW2, NATO did serve a peaceful purpose for many decades, with exceptions like operation Gladio and the Kosovo war, but all in all, the continent of Europe remained relatively peaceful since the end of WW2. With the fall of the Soviet Union and Communism, followed by rapprochement with Russia and Gazprom pipelines, I believe NATO is about to go through some major changes in the coming years. One of which will be the reduced influence of the US and the UK (Brexit) will have over it, assuming of course Trump’s “make America Great Again” ideology will be defeated in 2020, and Brexit will be finalized. Much like the Roman Empire never really ended, it just morphed or splintered into another World Order, so to will the American Empire and NATO, they won’t really end, they’ll just transition into what seems to be an international world order, one which includes China. Both sides are still ok with authority making decisions for them and delegating responsibility. The worst powers that shouldn’t govern because they are the least qualified and unscrupulous, apply a lot the Hegelian dialectic tactic also known as Thesis Antithesis & Synthesis, Problem Reaction Solution, and Order Out Of Chaos. This tactic has been employed by rulers for quite some time. Free you mind and create your own opinion. Monarchs, Oligarchs, Billionaires aka people with too much money and power are always creating traditions based on myths / lies to maintain their power. They sell them also false cultures and fashions. Politics, Public schools, Hollywood and MSM are important tools for them to achieve their goals. These days they also create human beings, consuming zombies, to sell stuff to, which is also a form of enslavement, but the consuming zombies have the illusion that they have a choice. With consumerism they also broke down critical thoughts and with creating idols (athletes, actors and singers) people even forget to enjoy and create their own life. The US of A is an excellent example how the oligarchy manufactured and molded a society by manipulation and lies. Most Americanos think they are free, but in reality they life in a collectivist society created by their own slave masters just like also happened in the Marxist society in the former USSR and nowadays in Putin’s FSB Russia. . See how the Americans hail and worship the founding fathers and think they were Christians, but in reality they were Masonic Narcissistic Manipulators and to be honest until the present day they achieved their goals. 2. Focus on thugs, not fellow people. I won’t provide links, only thoughts. 1. As I understand it, at(/until) the beginning of the modern field of psychology, researchers/thinkers tried to find out what was – in German called Wesen – the essence/nature of the human being. Nowadays essence has long be replaced by the concept of personality. Actually you could say, that the opinion is, that there is no such thing as an essence of a person (or at least it is a term that is scientifically not usefully employable). Basically understanding the essence/nature of sth. would mean to understand it in its entirety. Actually it wouldn’t matter if it were a person or animal etc. (We can only observe from the outside and never have the inside.) Put in another way: It’s impossible to know the essence/nature, the concept is dead (at least in science). Now you research and think in the compartmentalizing (looking from the outside) way of personality, e.g. with Big Five/Six, on which you can place scales, collect data etc. BUT. This essentialism isn’t even in the slightest way dead in our languages or cultures, and here I come to labeling. We talk and think about people as good or bad people, as thieves, traitors, socialists, capitalists, islamists, terrorists, freedom fighters etc. etc. Essentially (;-)) we haven’t quit communicating in an essentialistic way. We talk less about actions or concepts/ideas (for example sbd. stole sth. and we judge this action as bad instead of labeling this sbd. as a bad person (thief); or pointing out that sbd. appreciates the utilization of force as a means to achieve a goal = socialistic concept instead of labeling this sbd. as a bad person/socialist). I think you can see why I believe this kind of essentialism/labeling reduces the entire complexity of a person to a binary version – either sbd. is a thief or not, either sbd. is a socialist or not etc. 2.The focus on (different rivaling groups of) thugs. MSM usually reports on the powers that shouldn’t be and the alternative media often too. You may name Putin, Trump and Li Keqiang as different members of rivaling gangs. Each one strives for control of people. And now you can argue on different levels. If you are against Trump (and probably also the institution named US government you believe exists), then it makes perfect sense to judge everything compared to the issued positions of the so called US state department. Vice versa. And of course it is so with Nato too. On another kind of level you would not oppose the USA or Nato but maybe argue sth. like you oppose the (concept of a rightful) initiation of force and henceforth also every action in that manner of a person who believes in one of those non-existing entities. I mean, you, James, as you have interviewed Larken Rose a couple of times, know it the very best, how difficult it is thinking and communicating government(s) does not exist, though the results of people’s believes in it are pervasive. You’ll probably remember the interview of Spiro with the two Syrian people about the protests against Assad. About peaceful protests by fellow people and escalating them into violent ones through paid persons who stabbed military men at the protests. I believe this showed more of the nuances you wish for and did less lump everything together. 3. I already touched the point of talking more about tactics or ideas than striving for goals as I wrote about different levels of arguing. For example we could talk about achieving peace, about reducing Putin’s influence or about opposing Nato. Some people will argue for military intervention, an all world unifying government as a means of eradicating wars (as a depicted goal of Cao Cao in popular stories about the period of three kingdoms). You’ll have to hear about bombings and so forth against Putin of Chechen people as a legitimate means against Putin’s influence. And would you really favor the vanishing of the institution NATO including all military weaponry with people still believing in government and every other military organisation staying armed? No, goals are usually not what we want to talk about, but means (e.g. non-violence, self-defense, peer-to-peer, agorism), tactics (to achieve goals like peace) and ideas (e.g. NAP). A pity. I am far too tired right now to make any conclusions or maybe helpful suggestions. Actually I only reminded you about points you already talked about, like labeling people, different layers of concepts and arguments and ‘the end does not justify the means’. At the very end. At some unknown point watching your video I was reminded of the false logic of: Hitler was a vegetarian. Hitler was a Nazi/bad people. So vegetarians are Nazis/bad people.